Our disposable bonded micronfibre filter elements are manufactured from precise mixtures of borosilicate glass microfibres to the very highest standards of quality control. [tab:Product Operation]The coarsest grade that will adequately protect the application should be chosen as this will result in the most economical solution to the contamination problem by extending the service life. 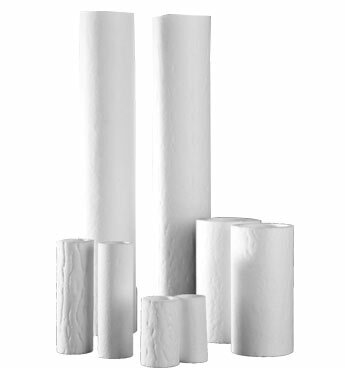 Disposable bonded microfiber filter elements are suitable for both gas and liquid applications.